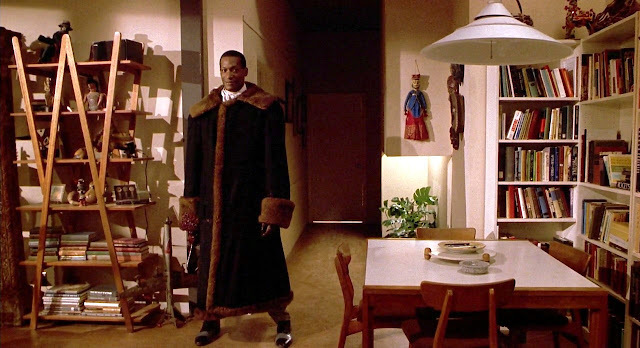 On the surface, you could suggest that Candyman rides in the Black horror film category because its setting is the urban sprawl of Chicago with more than one Black face and a title Black character. But I've always insisted that the character we follow and focus on is the white woman, Helen Lyle (Virginia Madsen) whose actions and "victimhood" drives the story. Every character, even Candyman, is secondary. 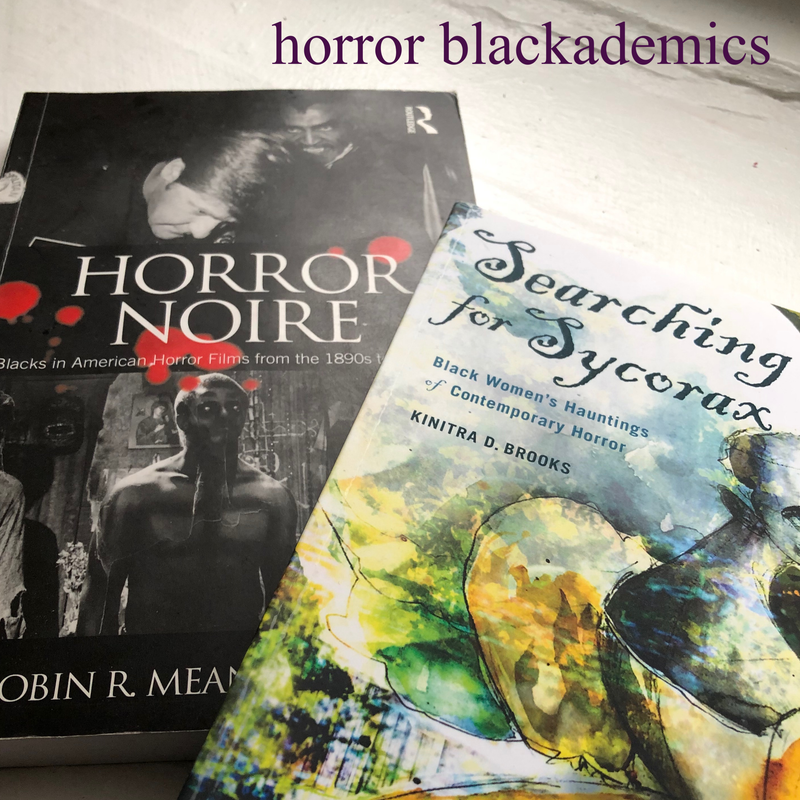 My list additionally refers to the very important point that Dr. Robin Means Coleman makes in her book, Horror Noire about "Black horror" films vs. "Blacks in horror" films. 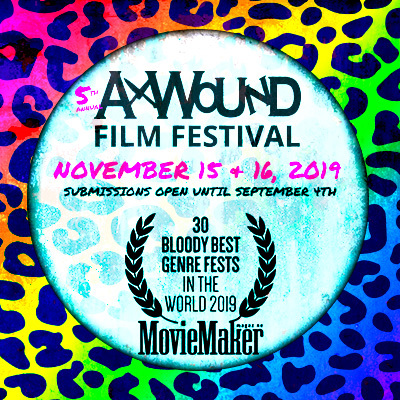 First, "Black horror" films are most commonly written and/or directed by Black creators and Candyman is based on a short story by white British author/filmmaker Clive Barker titled, "The Forbidden" and directed by Bernard Rose who is also white. 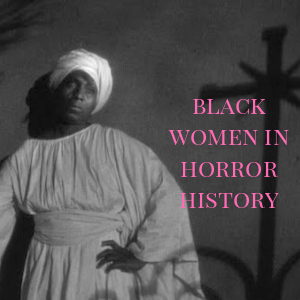 But more importantly here, Black horror films center Black characters and the varied Black culture/identity experiences whereas Blacks in horror films (as a part of her thesis) position Black characters, as interpreted by non-Black filmmakers, as symbols that reflect perceptions non-Black people can harbor about Black people beyond the celluloid. 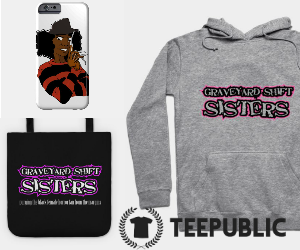 Blacks in horror films partake in a system where Blacks are treated as horrific Others to be feared or just plain underdeveloped at any given point in time. Dr. Coleman refers to Candyman as playing "on old stereotypes by again placing a blond beauty in peril at the hands of a Black boogeyman." We are denied Candyman's history in this film (which is developed in the sequel), consolidating him to an all consuming urban legend who is fueled by the fear his untold bsckstory arouses. He is the Black male in pursuit of the white woman, a Hollywood image first exploited in D.W. Griffith's The Birth Of A Nation (1915) that only rallied for white supremacy and played its role in segregation. Candyman is caught in this limbo of examining race, mythos, and American socioeconomic divisions as intersecting dynamics. The dance between Candyman and Helen has always been about the contrasting friction between their positions within these dynamics as the white, middle-class woman explores "the urban jungle" ruled by the mythical, Black male figure. This 1992 classic is no doubt, entertaining, intriguing, well acted, scary, an all around exceptional film in the horror canon. While I have a deep appreciation for it and never mind a re-watch, Madsen's Helen has always bugged me. She never once heeded Bernadette's (the 'Black best friend' played by Kasi Lemmons) warnings about entering one of America's most infamous housing projects.Willing to put herself in harm's way in order to round out her thesis, her interactions with those who lived there like the little boy Jake (DeJuan Guy) and even the working single mom, Anne-Marie (Vanessa Williams) wreaked of white saviorship in both a literal and symbolic sense. I suppose the more overt demonstration of this is when Helen saves Anne-Marie's infant in the third act, only after her presence sparks Candyman's brutal actions towards a healthy body count in the film, including Anne Marie's guard dog. I would say she's equally responsible for Bernadette's senseless demise as well. Whether a survivor (still living in squalor) or victim, Black characters indirectly suffer at the expense of Helen's actions. None of them have their own story or agency because it's all about Helen; her trauma and how she responds to each of these individuals. 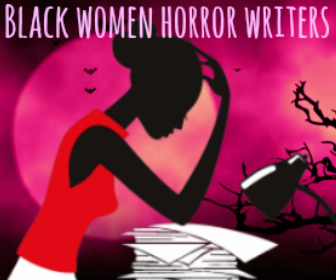 Arguing on the side of Dr. Coleman's proposal, Candyman is not a "Black horror" movie. But it certainly has elements that touch on ways of addressing socioeconomic disparities that negatively effect Black communities. The Cabrini-Green projects in Chicago is Candyman's "most infamous and dangerous" space used as the source of his legend and power. It is a confined set of high rises littered with the most tragic counts of violence and decay due to how its early residents were hit with an economic blunder when factories where they were employed in the nearby area were closing and organized crime as a means to survive put police and maintenance services on permanent hiatus. As recently as 2015, much of what was in the location has been demolished and replaced with "new apartment towers". Sound familiar? Remnants of past tenants were scattered before demolition that photographer Matt Tuteur documented asserting, "not everybody in those projects was some kind of monster, the way they're portrayed to be in movies and culture." We see a solid mix of both in the film. And the real-life horrific accounts attached to this location seemed to gather a mold like festering energy into the horror icon we have. But I find Candyman's story much more intriguing than that. We learn later that Candyman's story itself begins with his transgression of social boundaries. Daniel Robatille, an inheritor of wealth and a ‘sophisticated’ Black man of a free slave was commissioned to paint the portrait of a White Illinois landowner’s daughter around 1890. 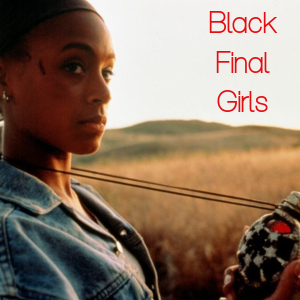 When the two fall in love and she becomes pregnant, an angry lynch mob catches Robatille; sawing off his hand, smearing him with honey, leaving bees sting him to death, and scatter his ashes over what was infamously known as Cabrini-Green. As a sympathetic yet ruthless spirit turned urban legend, Robatille as we know as Candyman, is a figure of fear essentially created by the racialized fear of miscegenation. 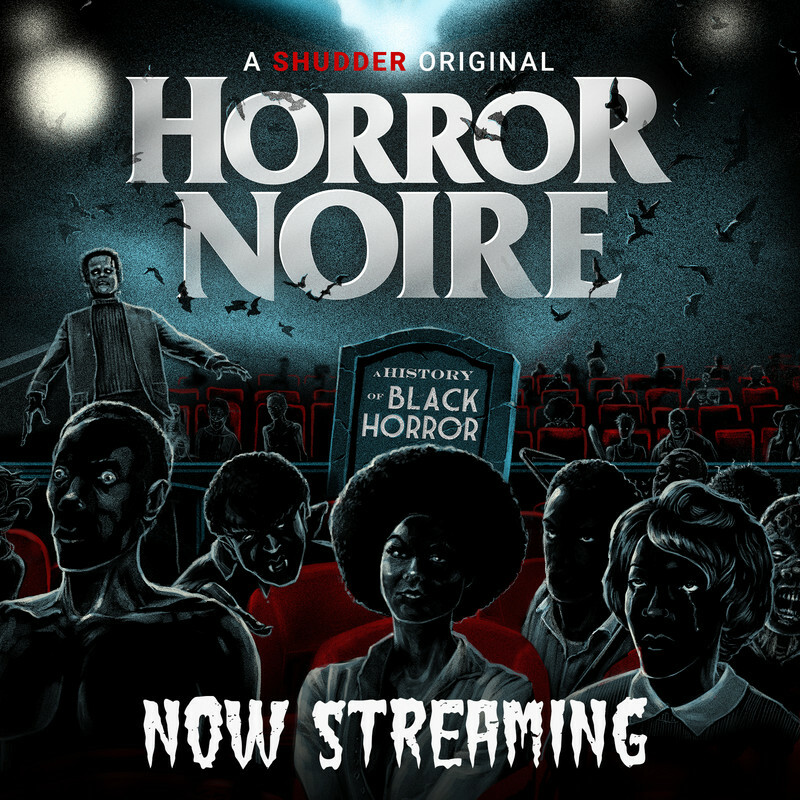 This is all a very slippery slope; Black horror and horror films with Black characters is a wavering exchange that is constantly evolving. And at the heart of this film is a redemption story for a white character who played her card of arrogance and entitlement because of her class and race. Candyman being an urban legend that involves a Black character and a Black community in the 1992 film was incidental to Helen's ambition. No inner argument resides about the fact that I really do enjoy Candyman. And despite Candyman's calls, Helen is no victim. And Candyman is the gatekeeper who uses his monstrosity to both, viscerally show the effects of racism and to punish Helen's naivety, making her complicit in the destruction around her.